• Unlimited Access to Online Work/Life Website with Over 20,000 Resources Related to Family, Marital, Legal, Financial, Health and Other Topics; Available in Spanish. The American Behavioral mission is to help employers improve the productivity of employees through enhanced behavioral healthcare and overall well-being in a cost effective manner. American Behavioral pledges confidentiality, accessibility of services and is committed to the utmost in quality of service. In 1987, a small group of caring individuals had a vision: establish a private source of support for suicide research and education, and essential suicide prevention efforts could be sustained into the future. These founding families—each of whom had lost someone to suicide—joined with scientists to create what today is the American Foundation for Suicide Prevention (AFSP). Communicated with hundreds of thousands of individuals through our website, social media, brochures, speakers and efforts to generate press coverage. 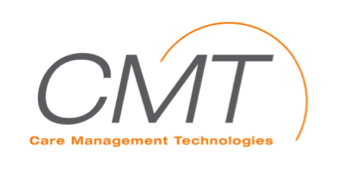 Care Management Technologies (CMT) is a firm with broad expertise and extensive experience in behavioral health and advanced technologies. It is this combination of skills that has enabled CMT to develop proprietary health information technology that is behaviorally-health focused and unique in the marketplace. CMT's best-in-class evidence-based behavioral health analytics and decision-support tools help payers and providers better coordinate care for their costliest, most complex members. CMT offers online analytics that are age banded (unique to the elderly, adult and child populations) that can be used as a scalable solution to address a variety of comorbid and complex disease presentations. Over the past ten years, CMT has developed an extensive array of evidenced-based rules that promote improvements in care – both behaviorally and medically. CMT has validated rules that provide prospective identification of preventable hospitalizations and emergency room events, particularly focused on the inappropriate application of psychotropic and pain medicines. These tools, now accessible via CMT's online portal, ProAct, are used by health plans, behavioral health organizations, health homes, and ACOs to support the management of integrated and holistic care across the entire continuum of service settings. To visit the website of CMT click here. Carolina Behavioral Health Alliance (CBHA) is a managed behavioral health organization based in Winston-Salem, North Carolina. CBHA is the nations first managed behavioral health organization owned by three not-for-profit academic medical institutions: East Carolina University, University of North Carolina at Chapel Hill, and Wake Forest University. The mission of CBHA is to assure access and exceptional value in behavioral health services. Our goal is to provide the most efficient and effective services available through CBHA's extensive network of community and academic behavioral health providers. CBHA also offers disease management for depression, consulting services, and behavioral health wellness and prevention programs. Chestnut Global Partners' domestic network of providers now exceeds 1,400 clinicians in 50 states with access via a partnership to 30,000 while its international network now covers over 120 countries. CGP brings proven capability in employee assistance and managed behavioral health care covering approximately a three quarter-of-a-million lives representing small-sized organizations to Fortune 100 clients. College Health IPA is a behavioral healthcare delivery system serving approximately 1.1 million members in California. We contract with national behavioral health carve-out companies and medical groups who provide medical care to various health plans. With a network of over 1500 providers, College Health IPA is the largest behavioral health delivery system in California. Beginning in 1990, College Health IPA and its partner management services organization, Comprehensive Behavioral Health Management, identified a need to provide cost effective and efficient high quality behavioral healthcare that was provider driven. Through provider education, timely access to all levels of care, a provider and patient focused care management system, and comprehensive data collection and reporting capabilities, we are able to maintain an efficient and scalable delivery model. It's this model that has a proven track record of adding value to the lives of our members, providers and business partners. In 1992, South Carolina's largest health insurer launched Companion Benefit Alternatives (CBA) to administer benefits for substance abuse and mental health treatment. Since that time, CBA has been dedicated to helping people make the most of their behavioral health benefits by integrating our program with medical benefits. Located in Columbia, SC, we provide leading comprehensive clinical and behavioral health care benefits management to more than 1.9 million members nationwide. Our unique position as a managed behavioral health care organization (MBHO) within the health plan enables us to provide a truly holistic model of care. It also allows for prompt interface with medical benefit managers, as well as expedited coordination of medical and behavioral health benefits. Our services include clinical management, specialized case and disease management, wellness programs and employee assistance services. We also offer members an extensive national network of credentialed providers. We manage benefits for a variety of plan types, including HMO, POS and PPO plans, self-funded plans, local and state governments, and Medicaid. The Pennsylvania Behavioral Health Choices Program (BHCP) began in 1997. The Commonwealth of Pennsylvania (the State) had determined that counties were uniquely positioned to manage behavioral health Medicaid resources due to existing legislative mandates that counties oversee their local behavioral health systems and carry out the functions of the Medicaid program. As such, the State issued a Request for Proposals (RFP), providing counties the right of first opportunity to develop and implement the BHCP at the county level. Philadelphia (the City/County) chose the State option to take full responsibility for the management of the behavioral health benefit for Medicaid recipients. The City had been preparing - through a Robert Wood Johnson grant in the 1990’s - for this unique approach to managed care. As a result, Philadelphia created Community Behavioral Health (CBH), a not for profit Administrative Services Organization (ASO), to administer the Behavioral Health Choices Program for the City. CBH is under contract with the City to perform utilization review, quality management, provider network management, fiscal oversight and accountability for the approximately 460,000 Philadelphia residents currently enrolled in the Medical Assistance program. CBH currently contracts with over 200 agencies, serving over 100,000 individuals annually, providing a continuum of services. The City has made a major investment in promoting Evidence Based Practices (EBPs) and created an innovative Evidenced Based Practices and Innovation Center (EPIC) to further that goal. We have also established a robust Pay for Performance initiative that spans 95% of our levels of care – this year paying out over $5M. CBH’s unique relationship within government promotes a broad cross systems human services approach to care. From city public health initiatives such as community mural art projects and depression screening to coordinating housing first treatment services, CBH staff play an integral part in supporting the work of the city to improve mental health, diminish substance use, and promote good overall health for the citizens of Philadelphia. Community Care, a nonprofit, tax-exempt recovery-focused behavioral health managed care organization headquartered in Pittsburgh, Pennsylvania, manages mental health and substance use disorder services for over 700,000 Medical Assistance recipients in Pennsylvania. Community Care also serves as the behavioral health organization for the Hudson River Region of New York State. Community Care was incorporated in 1996 with a mission to improve the health and well-being of the community through the delivery of effective and accessible behavioral health services. Community Care is fully NCQA accredited, both as a managed behavioral healthcare organization and for our disease management program. We focus on promoting the recovery, resilience, and wellness of individuals in treatment for behavioral health challenges and support the transformation of the behavioral health system to create integrated systems focused on whole health. Crisis Care Network is the leading provider of Critical Incident Response services to the workplace. On average, CCN responds over 1,000 times per month with on-site services to facilitate individual and organizational resiliency after workplace tragedy. CCN is the EAP industry's preferred partner in reducing both the human costs and the financial costs associated with psychological trauma. Return to Work. Return to Life. First Sun EAP's mission is to help people be better at work and our vision is to be a champion in collaboration with all we serve. We hold the belief that caring partnerships with businesses and clients create meaningful differences in people's lives. We achieve our goals by being personal and creative in the design and delivery of our services and by building collaborative service teams with like-minded partners. First Sun began in 1992 as a South Carolina business and has grown to serve corporate customers nationally. As we expand our reach, we maintain a service model that is strong in local knowledge and personal attention. We have been recognized as best in class for Regional EAPs and several staff members have won awards for leadership and achievement. This is a result of placing a strong emphasis on the quality of professionals hired and on the professional development provided for staff and affiliate partners. 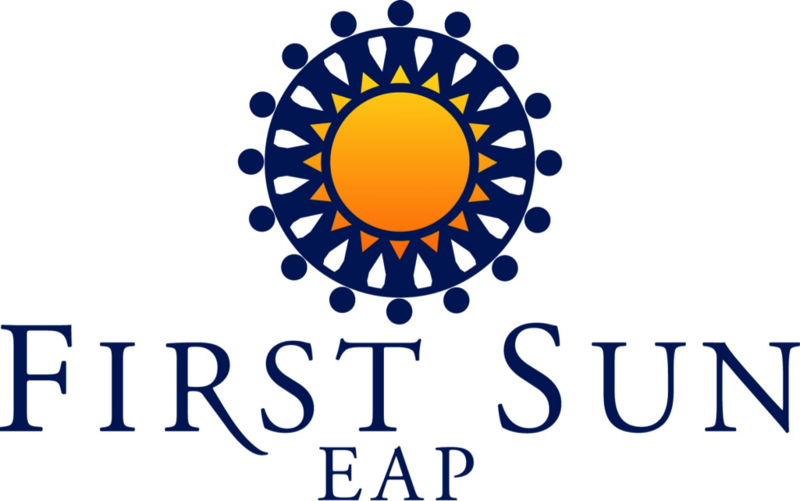 The services of First Sun EAP include EAP, Behavioral Risk Management, Organizational Consultation and Corporate and Professional Training programs. Harris, Rothenberg International (HRI) offers an array of comprehensive, integrated human resource programs and services designed to maximize organizational and employee performance. Founded in 1982, HRI is a pioneer and acknowledged leader in the field of HR strategy, leadership development, and employee productivity. We partner with clients of all sizes and all industries, from Fortune 100 companies to privately held businesses and nonprofit organizations. We believe there is no single approach that will address all human resource and organizational issues. We have the knowledge, training, and expertise to create intelligent, creative solutions tailored to your organization's specific goals. We are experts in human behavior, skilled at motivating positive decisions and outcomes. As of August 1, 2012, HRI became a wholly-owned subsidiary of Humana Inc.
KGA, Inc. is consulting firm that was founded in 1982 by Kathleen Greer. Headquartered in Framingham, Massachusetts, KGA provides Employee Assistance Programs (EAP), HR Solutions, and Wellness services to organizations that are interested in improving employee and manager engagement, performance, and retention. KGA's EAP and Work Life programs help employees and family members to resolve personal issues that may be impacting job performance or well-being. KGA is known for a personal approach, whether providing digital, phone or face-to-face counseling. Our goal is to get to the root cause of an issue in order to promote the total health of an individual. Along the same lines, our wellness solutions focus on mental wellness and behavioral health. KGA's HR solutions are designed to help organizations resolve situations that might negatively impact a specific work group or the organization as a whole. These solutions generally involve the design and delivery of training, coaching, and/or consulting. Life Advantages provides an array of bilingual work-life and wellness services to organizations world wide. Our programs cover more than 6 million members through more than 100 customers, including 60 EAPs and a number of health plans, hospitals, and wellness companies. Our resources are unmatched in quality, depth, and accessibility. They are designed to support and educate while solving the issues that affect member well-being and productivity. MINES' EAP services maintain a utilization rate far above our competitors.Valuing quality over all else, MINES' EAP provides effective counseling services for employees and their families, access to online resources including do-it-yourself legal forms, financial calculators, informational articles and self-help tools. The EAP also acts as a management tool that helps leadership be more proactive in helping their staff further reducing their healthcare costs at the same time. MINES offers a wide selection of trainings and seminars across a huge array of topics including stress and resilience, workplace conflict and safety, nutrition and fitness, communication and teambuilding, legal and financial, aging and caretaking, family and personal issues. MINES' managed care services provide employees with an advocate to ensure their best care and help protect healthcare programs against unnecessary spending due to inefficient practices or predatory companies, while increasing the speed that treatment can take place and help employees recover as fast as possible. MINES Nationwide network of over 24,000 specialty providers is highly vetted and selected specifically to maintain high quality care and reduce costs at the same time. Unlike many PPO networks, MINES' is open to ensure care can be delivered and specialty needs can be met anywhere in the US. MINES' offers organizational development services that work with management to identify ways of increasing productivity and social wellbeing within the organization. MINES' services provide customized analysis and reporting that identifies solutions quickly, proven ROI in helping maximize employee potential, and high-touch personal interaction with MINES' consultants for a simple easy process. MINES proprietary OWIE model (Organizational Wellbeing Inventory and Evaluation) provides a ground up systemic evaluation of the organization and provides a complete analysis, review, and solution model with the goal of getting an organization back to top shape and addressing its particular needs as efficiently and cost effectively as possible. Call MINES at 1-800-873-7138 or email at info@minesandassociates.com for any questions or quote requests. Founded in 1995, New Directions Behavioral Health helps more than 13 million people live healthy, balanced lives. The fast-growing health care company provides managed behavioral health care services, employee assistance programs (EAPs), organizational consulting and health coaching to large regional health plans, Fortune 100 companies, employers and labor groups. With a mission to improve health through change, we are focused forward, working to better integrate medical and behavioral health services. Our products and programs have earned national recognition and awards for innovation and best practices. New Directions is fully accredited by NCQA as a managed behavioral health organization and by URAC for health utilization management and case management. Since its inception in 1981, Perspectives' practice has been predicated on an individualized approach to client organizations, which emphasizes tailored programs and business solutions with practical applications in the workplace. Perspectives is proactive and timely in response to our client organizations' needs. We believe that early intervention in both individual and organizational issues yields the most effective results. Our goal is to become an integral part of your organization, a trusted partner turned to for strategic planning as well as for problem and crisis resolution. Founded in 1992, ProtoCall Services is the nation’s largest and most experienced provider of behavioral health call center services. Over 235 behavioral health organizations from across the United States and Canada place their trust in our services to provide seamless, high quality telephonic access and care to their callers twenty-four (24) hours a day, seven (7) days a week. • Coverage for unforeseen disruptions such as inclement weather, power and/or phone outages, etc. Our services are accredited by both the American Association of Suicidology (AAS) and CARF. We are also licensed in the State of Washington as a provider of telephone crisis services. Headquartered in Portland, Oregon, RBH serves employers and individuals across the country by offering convenient access to MBHO, EAP, Wellness and Complimentary Alternative Medicine(CAM) resources, including a work-life website; access to on-line counselors; 24-hour crisis access to counselors by phone; an interactive Health Risk Assessment (HRA); motivational health coaching by phone and e-mail; a comprehensive wellness website; and thousands of national EAP providers who deliver local counseling where your employees live and work. RBH offers clients nearly two decades of experience as an independent, regional, managed behavioral healthcare organization (MBHO). We work to deliver a flexible and reliable program that meets the unique needs and expectations of each group we serve. Based on our experience and carefully designed programs, RBH offers an EAP partner with local presence and a national footprint. RBH is a truly global company with no physical or regional boundaries - our services can be implemented and accessed from anywhere, regardless of the physical locations of worksites or employee homes. Workers Assistance Program (WAP) was built with the mission to create better workplaces, schools, and communities. In the 35 years since, we at WAP have strived to accomplish this goal through behavioral health, education, counseling, mentoring, and childhood nutrition. 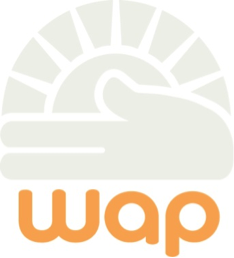 WAP is the home of six distinct programs, each offering unique yet complimentary services to meet the needs of the workplaces, schools, and communities which we serve. Alliance Work Partners, AWP, outfits the workplace with healthier, more productive employees and effectively lowers healthcare costs by providing world-class employee assistance programs. PAL® Peer Assistance and Leadership, is a student mentoring program, adopted by the state, as an elective course to fight teen pregnancy, gang participation, and climbing dropout rates. Texas HIV Connection, a program focusing at both the state and personal level on decreasing the spread of HIV by increasing education and participation in the act of prevention. Coordinated Training Services, CTS, delivers training statewide to expand the prevention infrastructure, guided by the latest in technology, research, and quality standard approaches. Youth Advocacy, offers services designed to empower youth to communicate with respect, lead substance-free lives, and experience greater opportunities. Child Care Food Program, offers nutrition training and funding for food supplements to day care providers to assist in compliance with the USDA's Child & Adult Care Food Program. Wellsys offers the PathWellTM Program, enabling healthcare organizations and employers to systematically address their patients’ or employees’ behavioral risks and disorders, which result in 40% of deaths, most chronic illness and over $900 billion in costs per year. The PathWell Program starts with population-wide screening and assessment with validated questionnaires. Most individuals with behavioral risks and disorders receive definitive care from cost-efficient health coaches. Health coaches refer individuals with serious disorders, such as major depression and substance dependence, for specialty care and support their engagement in treatment over time. Unique PathWell Program software guides service delivery, engages patients/employees, generates summaries for patients/employees, tracks service delivery and outcomes, and enables comprehensive population management of behavior risks and disorders. Wellsys delivers services directly to patients and employees – either face-to-face, by phone, or via a web-based telehealth platform. Wellsys also helps others hire, train and develop their own coaches to implement the PathWell Program. employee assistance programs (EAPs) and other vendors can offer employers a workplace wellness program with greater effectiveness and cost savings than conventional wellness programs. For more information, please visit www.wellsys.biz and watch our brief educational videos.